The holidays are supposed to be merry and bright, right? Well there is a reason why this time of year often brings unwanted stress along with that unwanted fruit cake. With so many added expectations during the holiday season, we can often lose track of what's important, as well as find ourselves with no time to work out, eat right, or meditate. However, this is probably one of the most important times to take a moment for some "you" time, work it into your schedule, and ensure you stay happy, healthy, and wise! Maybe you need to set your alarm a few minutes earlier than normal to get some alone time, or perhaps you'll benefit from meditating at night, after your long day is over. 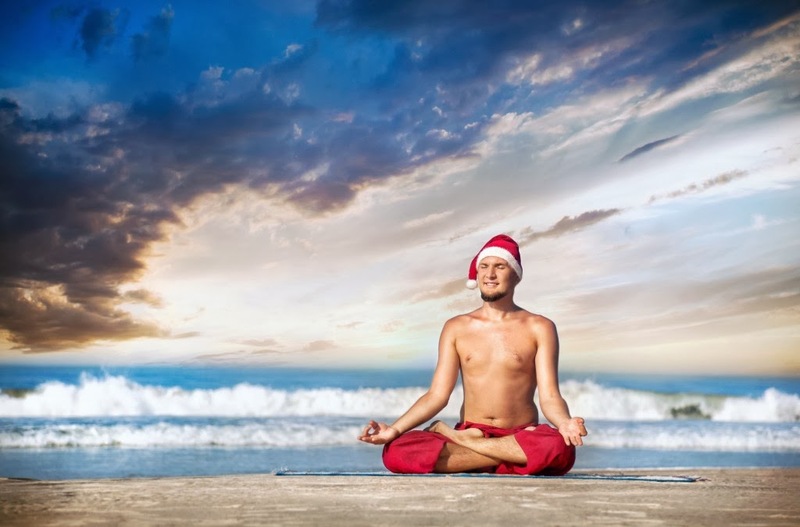 Yoga or meditation provide that process of "letting go" whether it be tension in the body, negativity in the mind, or just feelings that can attach during the holidays due to past or current experiences. In fact, with so much external stimuli during the holidays, taking time to block it all out for a few moments a day can help you find that much needed place of calm you've been missing! I mean, let's be real... it's not JUST during the holidays that we can feel overwhelmed, emotional, or out of touch with our inner peace.